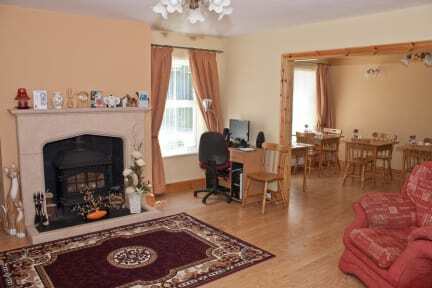 Groarty House is a family-run guest house offering bed and breakfast accommodation, just three miles away from the historic City of Derry in Northern Ireland. We can assure you of a warm welcome and plenty of good Irish home cooking all year round. Our guest house is 200 years old and is tastefully furnished with antiques, in keeping with the house's character. The conservatory has a beautiful panoramic view over Derry City and the surrounding area. We serve delicious breakfasts, with an emphasis on local produce. Sausages and bacon are supplied by a local award winning butcher, and the eggs are free range from our own hens, visible from the twin-bedroom window! We welcome children of all ages, and are happy to prepare separate meals if required. A cot and high chair are provided for your use. 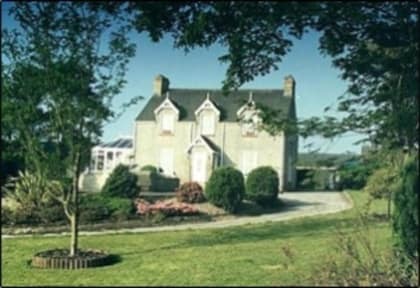 Groarty House offers a great base for touring County Londonderry, Donegal, and Derry City itself with its historic walls, museums and various other tourist attractions. The historic hill fort, Grianan of Aileach, is just a few miles away. There is an excellent golf course nearby as well as a sports complex and holiday activities such as horse riding and angling. So whether your stay is long or short, relax and enjoy the peace and tranquility of the countryside in our farmhouse accommodation while availing of all the luxuries of home.